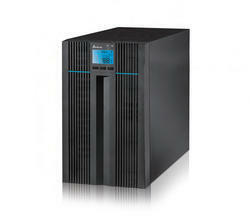 Leading Manufacturer of in series ups, eh series ups, n seires delta ups, r series ups and ultron dps series ups from Surat. The Amplon IN series is a True Online Double-Conversion UPS in tower configuration with in-built Galvanic Isolation Transformer Galvanic isolation is recommended for all critical IT application Galvanic Isolation is also useful for installations at sites with poor power condition with weak neutral. The Amplon IN series with inbuilt galvanic isolation acts as a barrier to all raw mains power quality problems and provides clean uninterrupted supply to the critical load. Amplon IN series is designed for short as well as long backup time requirements with the addition of external batteries. An in-built high level charger shortens the recharging period & increase the availability. Double-conversion technology. In-built galvanic isolation transformer Automatic input frequency. Option of Air filters for dusty environment. High input power factor (IPF> 0.97) and low iTHD saves on installation costWide input voltage range and stable power supply extends battery lifeHigh energy efficiency saves on operative cost and electricity bill. 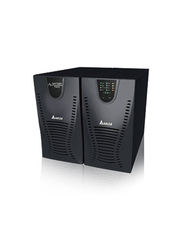 Power Reliability with the Best Total Cost of Ownership The Ultron EH Series UPS is an online double-conversion 3p-1p UPS which provides reliable power protection for IT rooms, SMBs, telecommunications, banking, medical facilities and industry. Supported with DSP based technology, it offers rapid computation capabilities that enhance system stability and provide precise voltage to load. The Ultron EH series offers many superior features including N+X parallel redundancy and a built-in manual bypass switch to guarantee higher availability and reliability for protecting your critical loads. Assured Reliability: True online double-conversion technology to completely isolate the output power from all input anomalies.DSP based technology to support rapid computation capability and a simplified control circuit for enhanced stability.Dual input design to allow different power supply sources for enhanced availability.Built-in manual bypass to ensure continuous power to the load even if the UPS fails.Best Total Cost of Ownership A wide input voltage range of up to 305~477V to reduce battery discharge probability and prolong battery life.ECO mode efficiency up to 96% to reduce operating cost.Small footprint to save space. High Flexibility: Parallel expansion and N+X redundancy up to 4 units without requiring additional cards or equipment.Additional charger and external charger box for flexible capacity expansion.Remote and local emergency power-off functions to promptly manage the UPS when emergencies occur. Easy Manageability: Multi-connectivity interface to support remote UPS monitoring and management.Advanced management software to provide event alert management, remote shutdown event log tracking and analysis.Reliable battery management for better battery protection. High-performance power protection with greater energy savings The Amplon N series is a true online double-conversion UPS that can provide your critical equipment with reliable, stable sine wave power. It features significant advantages, including an output power factor of 0.9 and up to 93% AC-AC efficiency for greater energy savings. The Amplon N series provides a safe power supply guaranteed for mission critical applications such as work stations, POS, ATMs, medical equipment, and more. True online double-conversion topology and zero transfer time to battery ensure high reliability. Advanced DSP (Digital Signal Processor) controller for fast computation capability and a simplified control circuit for enhanced stability. Wide input voltage range allows the UPS to work in harsh electrical environments. Generator compatibility ensures continuous and reliable power. Green with Low TCO High input power factor (> 0.99) and low input harmonic distortion (iTHD < 3%) save upstream investment. Output power factor up to 0.9 presents a stronger load capacity. AC-AC efficiency up to 93% and high efficiency of 91% at 50% load results in marked energy cost savings. Compact design saves more space for critical equipment. Intelligent Management Excellent local communications through LCD display. Intelligent battery management maximizes battery performance and sustains battery life. Mini slot and USB port enhance monitoring and manageability. 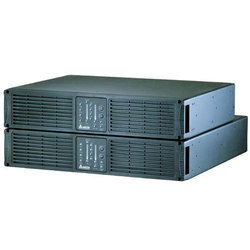 The Amplon R series is a true on-line, double-conversion UPS that protects devices from potential power problems such as spikes, surges and brownouts. It is available in either a rack or tower configuration and is recommended for servers, VoIP, telecommunications and networking. The Amplon R series is designed for long backup time applications with the addition of a customized battery source. The inbuilt high level charger shortens the recharging period and increases availability. Double-conversion technology provides 24/7 full-time protection.Automatic input frequency detection.Additional charger board can be added to reduce recharging time. Rail kit is included in the package. Fulfill long backup time demand for mission critical applications. Remote management over network via software. High input power factor (pf > 0.97) saves installation cost. Wide input voltage range reduces battery discharging occurrence and prolongs battery lifetime. Physical Dimensions (WxDxH)[1K]: 440 x 450 x 89 mm [2K]: 440 x 450 x 89 mm [3K]: 440 x 450 x 89 mm Weight[1K]: 6.7 kg [2K]: 9.2 kg [3K]: 9.2 kg* Lower range 80 ~ 175 Vac is acceptable under 50 ~ 100% loading condition. Leading in power performance and efficiency Delta’s Ultron DPS is a double-conversion and IGBT-rectifier three phase UPS. With the three level IGBT topology for both PFC (power factor correction) and inverter, the Ultron DPS features industry leading performance of up to 96% AC-AC efficiency. Thanks to Delta’s advanced digital PFC control, it also has low iTHD < 3% and high input power factor > 0.99 resulting in significant total cost of ownership (TCO) savings. Aiming to achieve the highest availability possible, Delta has enhanced special designs for battery management, hot-swappable fans and ease of maintenance. The excellent power performance and high system availability of the Ultron DPS provide customers with the benefits of a stable power supply, high power efficiency, low capital investment and low overall operation cost.